The Best Things to do in Carcassonne - How to Save Money, Avoid the Tourists and Where to Get the BEST Photos! 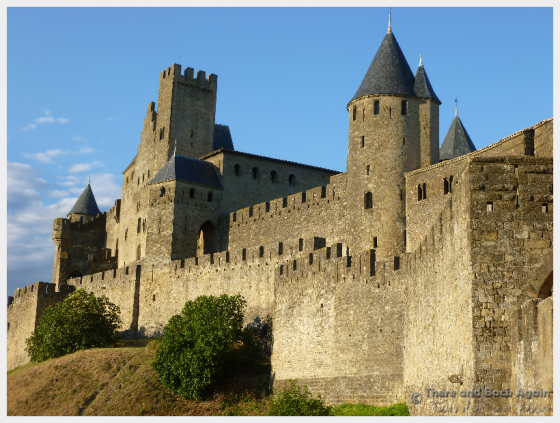 Are you planning to visit Carcassonne France? Looking for suggestions for the best things to do in Carcassonne France to fully experience this gem of a city? This walled city in the South Western part of France will charm you in a big way. 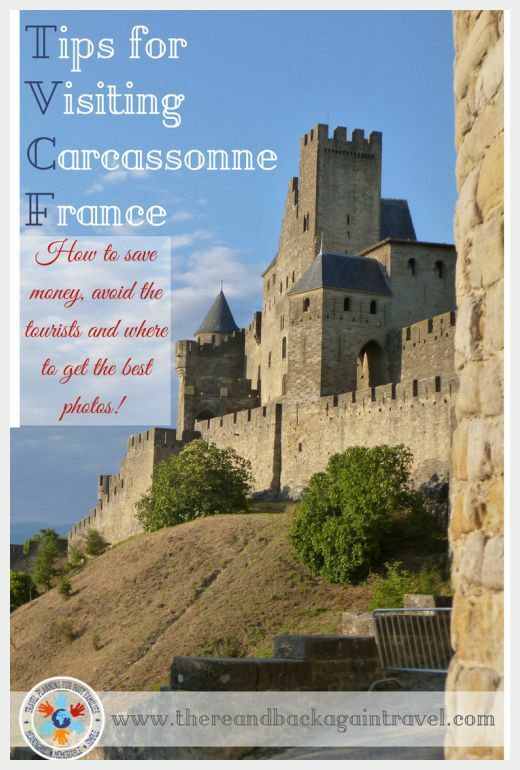 I put together this Carcassonne travel guide based on my own experiences to help you figure out which Carcassonne hotels are best for budget travelers, what to do in Carcassonne and the best Carcassonne restaurants. I also have some battle tested tips about where to take the best Carcassonne photos! I learned a secret about Carcassonne France. This is something that the majority of the approximately 4 million people who visit Carcassonne France each year don’t know. This is one of the most important tips that I can pass along in this Carcassonne guide and something that will greatly affect how much you enjoy your time in this charming walled city. In order to fully appreciate and take in all of the wonderfulness that is Carcassonne France, you really have to spend the night there. These tips will help you to find the best things to do in Carcassonne France on a budget and fall in love like I did instead of feeling like you had an unfullfilling experience in a tourist trap. Had I just had the experience of walking around in the herd of tourists during the day, past endless rows of overpriced restaurants and tacky souvenir shops, I would have gotten the impression that Carcassonne was nice, but perhaps not worth the hassle (especially considering that the South of France is filled with beautiful, post card worthy cities and villages). I am soooo glad that we stuck around until after the sun went down! This medieval walled city becomes a completely different place after the hordes of photo snapping tourists leave. The harried feeling of walking around in the endless crowds that fill the city during the day is replaced by a relaxed, laid back feeling of “joie de vivre” at night, when the air cools and the lights come on illuminating the stunning castle walls. Start at the Chateau de Comtal to access the ramparts. Your ticket price includes the option for either a guided or self guided tour that will give you a lot of history about the castle and city. Exploring the extensive ramparts fully will take some time. I suggest spending the night in Carcassonne and visiting early in the day or late in the afternoon to avoid the mid day tourist crowds. Chateau de Comtal, one of the best things to do in Carcassonne, France. This is how you get up on the castle ramparts. At night the castle walls are lit up and are quite the sight to see. Make sure to leave time after dinner to wander about for some of those fabulous night shots. This is a must on your list of what to do in Carcassonne! Taking a boat cruise is a nice way to get a different perspective on the city as well as some historical insight. The Bastide St Louis is where Carcassonne spread once it outgrew the fortified walls. This part of the city has a completely different vibe than the Cite Medieval, and it is worth exploring. A great place to start is the Place Carnot. This central square is lined with shops and restaurants and hosts a vibrant market on Tuesday, Thursday and Saturday mornings. The hills around Carcassonne are filled with a wide variety of Cathar castles. 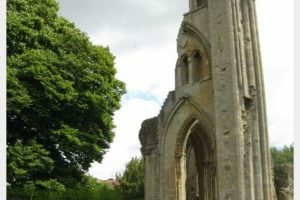 Some of the are crumbling, some pare in good repair. They are all worth exploring, so make sure to get out and hit a couple on your Carcassonne itinerary. I know that this is a long shot, but if you are lucky enough to be in this part of France around July 14th, you must plan a trip into Carcassonne to see the Bastille Day fireworks display. 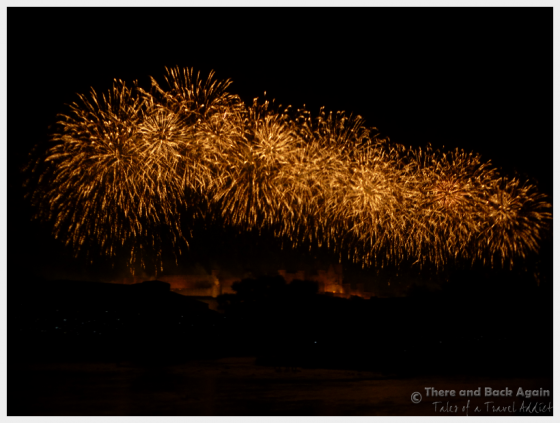 The fireworks are shot off over the ramparts of Carcassonne castle and they are really darned impressive. This area of the south of France is well known for producing wonderful wines. If you are not able to get out into the countryside to visit any of the many wineries in the area, hit one of the many cozy wine bars in Carcassonne to try a few local varieties. The wine bar Lache Pas La Grappe seems to get good reviews on Tripadvisor, but I am sure that there are many good ones. I highly suggest arriving late in the afternoon. You will be coming in just as the majority of tourists in the city are heading out. Check in to your accommodations stow your stuff and head out to snap some pictures of the incredible Cite Medieval and its windy, cobbled streets before dinner. After dinner, plan on putting on your walking shoes and heading outside of the city walls for some spectacular photo opportunities. The whole wall around the Cite Medieval is lit up at night. We walked around the whole city, and this took about 2 hours. Walking around, exploring and snapping bunches of photos is one of the best things to do in Carcassonne France, so leave plenty of time for just soaking it up! We took some great pictures and it was a nice, leisurely after dinner walk. If you are not worn out at this point, a glass of wine at one of the endless sidewalk restaurants and perhaps a second dessert would be a lovely way to wrap up the evenings’ activities. The next morning, get up and head right for the Chateau Comtal and the Carcassonne ramparts before the tour buses arrive. Reserve the afternoon for exploring the Bastide St Louis, a canal cruise or for a drive into the countryside. Plan for dinner at Restuarant Adelaide in the Cite Medieval. This was one of our favorite Carcassonne restaurants. 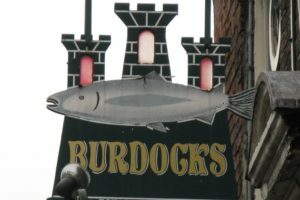 They offer a three course set menu including appetizer, entree and dessert for 14.50 euros. Wine was also of good quality and a good value. Make a reservation ahead of time for a table on the terrace with a spectacular evening view of the lit up castle walls. 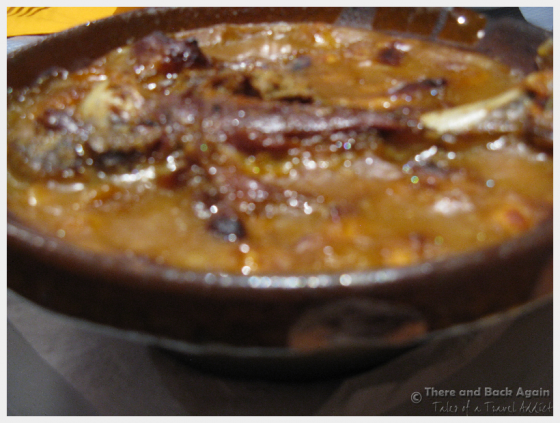 Cassoulet is a regional food specialty. It is a hearty stew made out of beans, duck and sausage. The Cassoulet at Restaurant Adelaide was great; the duck meat was falling off of the bone tender and the stew was well seasoned and filling. My traveling companion ended up begging for pieces of my duck as he enjoyed my entree more than his. 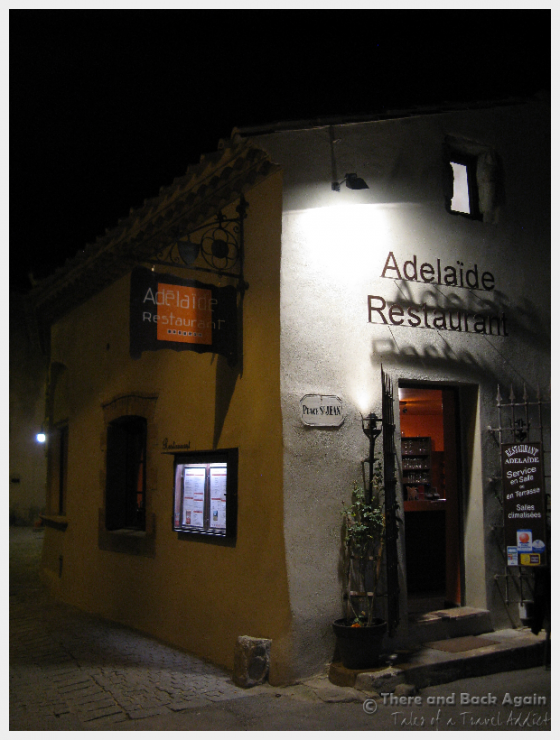 We enjoyed a really nice meal at the restaurant Adelaide in Carcassonne. Reserve ahead of time for a lovely outdoor table with a view of the castle. The Cassoulet is a regional specialty in the south of France. Eating it is a must if you are a foodie. TIP: When looking to visit Carcassonne France, I think that you will be happiest looking for Carcasonne hotels in the Old City, inside or close to the walls of the Cite Medieval. There is also a newer part of Carcassonne which is not as close to the Cite Medieval, so pay attention to where your Carcassonne hotel is located. The HI (Hosteling International Hostel) provides safe, clean, budget friendly acommodation inside the Cite Medieval of Carcassonne. 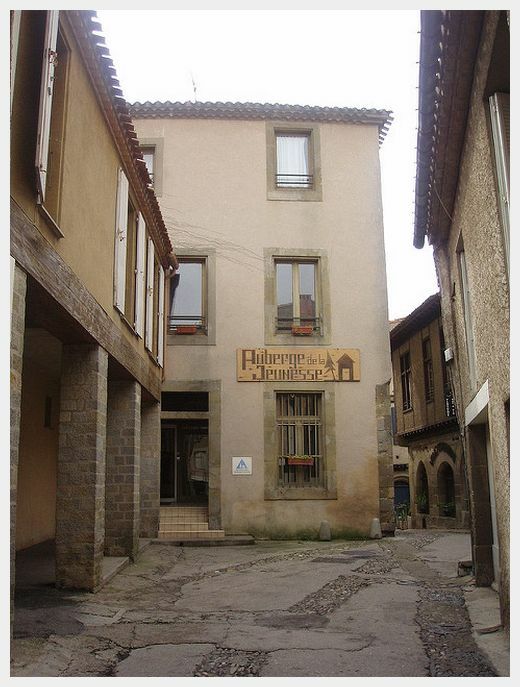 Hostel Carcassonne: This Carcassonne hostel is a safe and solid choice and conveniently located INSIDE the walls of the Cite Medieval. It will provides a convenient base for your explorations. As a member of the Hosteling International network, this Carcassonne hostel provides the standardized experience that one comes to expect from HI hostels: a clean, basic room in a safe, somewhat institutional facility with a family oriented atmosphere. Some nice features of this hostel include a garden courtyard to relax in, breakfast included, as well as a common area with a bar open in the evenings. The best part? The location of the hostel (INSIDE the castle walls!) puts you right at the heart of your own personal fairy tale once the tourist buses depart! Notre Dame de l’Abbaye This Carcasonne hostel’s main features are a clean room at an incredibly cheap price just outside of the main gate to the Cite Medieval (about a 5 minute walk). Notre Dame de l’Abbaye offers private rooms as well as dorm room accommodations Other than the price and the awesome location, some other nice features of this hostel include good, cheap parking (3 euros – cheap parking is hard to find near the Cite Medieval), free wifi and a decent breakfast for an additional 5 euros. If you are expecting the Ritz Carlton, you will be disappointed. The accommodations are clean but plain (clean is super important to us – especially now that we travel with kids). If you are looking for cheap accommodations in a great location, you will be very happy here. TIP: Make sure that you reconfirm what kind of room you have reserved. We had reserved a room in a four person dorm through a third party booking site, and when we arrived, we were in a 40 person dorm room. It wasn’t a big deal (it was Bastille Day and I was just happy to have a room close by) but it was a bit of a surprise. There are two primary times to capture photos of the spectacular Carcassonne castle; during the day and at night (when the castle walls are lit up spectacularly). Some great photos can be taken of Carcassonne castle from various points on the walls and ramparts themselves, but to getting some of the best shots will involve some light hiking on the outside of the walls. You might want some hiking boots for this as some of the paths are steep and rocky. 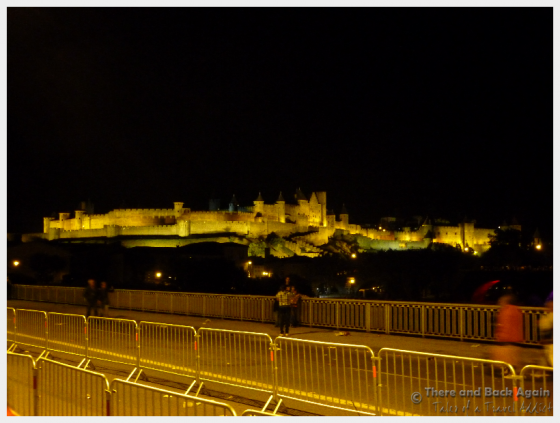 You probably won’t want to be hiking too far around the Carcassonne castle walls at night. 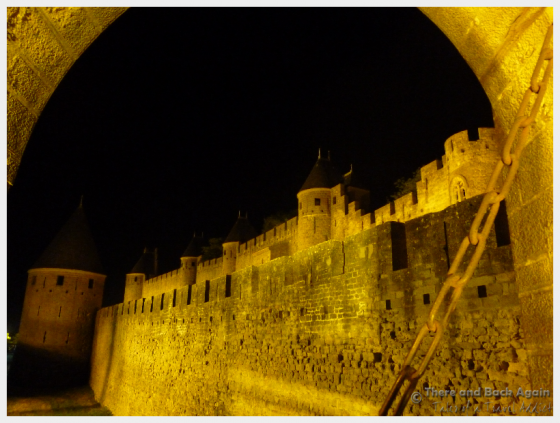 If you are just planning on seeing one part of the castle wall at night, I would suggest starting by the main gate, as this is one of the best spots for Carcassonne photos. Work your way down to one of the secondary gates and make a loop back to where you are staying. Please use common sense. Don’t go alone to do this and if anything seems unsafe, turn back. In the morning, you can get up early and take some last Carcassonne photos in the soft, morning light before the crowds descend. 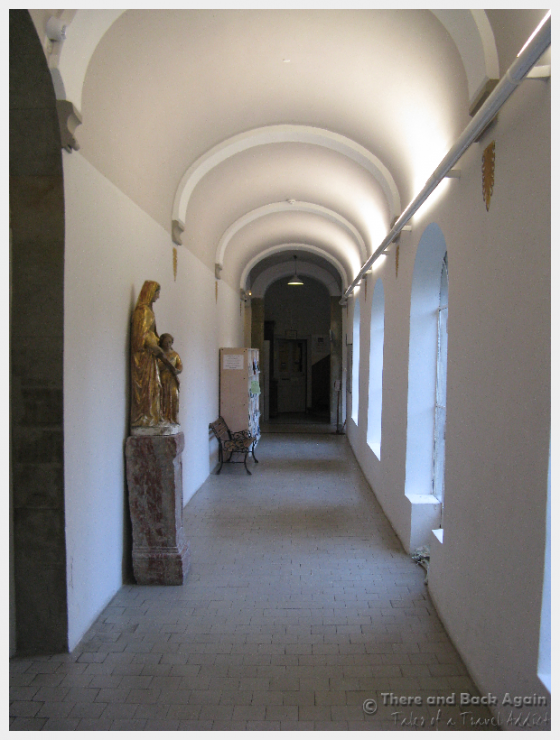 We spent a lot of time walking around the walls taking pictures. And then we walked around some more at night for more great photos. Once the buses come, the city turns back into a pumpkin and it becomes and entirely different and more stressful place. There are many things to do in Carcassonne France, but hordes of people are going to make all of them less enjoyable. 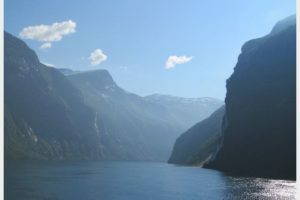 If you are staying for more than one night, perhaps you should consider taking a day trip to one of the nearby towns and returning again in the afternoon, once the crowds thin. Do you need a travel guide to help you plan your trip to the South of France? Thanks for the additional info. I will make sure to check both places out next time I come to visit! I had to pin this so I don’t forget about going there someday. I visited Rothenburg ob der Tauber, a medival German city and absolutely LOVED it. I’m going to add this to my list and take your advice and stay there, too. 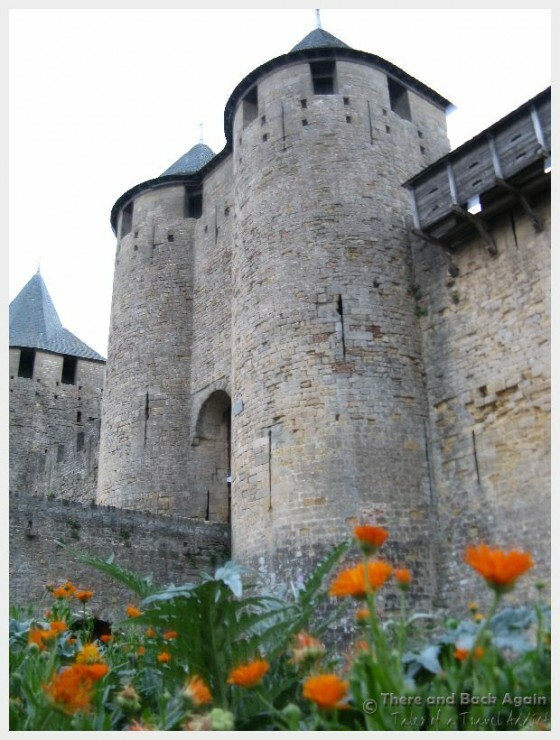 I’m so glad you shared this as I have been planning to go to Carcassonne for quite some time and I am very keen to experience the “historic whispers from medieval times” 🙂 Thank you for the hotel tips! It was a lovely city. I wished that we had more time to explore! Years ago I read a book – most of the story took place in Carcassonne, and it made me want to visit it. Reading your post confirmed my idea! Great article with plenty of useful advice ,Thank you for the hotel tips!